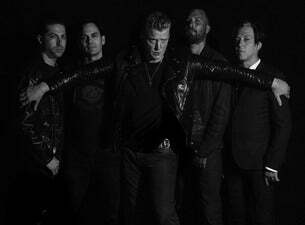 Queens of the Stone Age is a hard rock band from Palm Desert, California founded by singer-songwriter and guitarist Josh Homme. Formed in 1997, it is made up of a diverse group of musicians and has gone through many line-up changes. Since the release of their first self-titled album in 1998, the band has released a total of six albums. QOTSA will be returning to the UK for four headline shows in November. The dates come in support of a new album, Villains, due for release at the end of August 2017. The record is their first since 2013’s …Like Clockwork.